When you ask Alice Kundalini about the rather strange and intriguing name of her solo-project She Spread Sorrow she answers: ‘Sometimes in my life I. 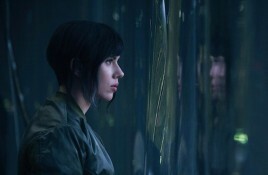 The first trailer has hit the internet for the upcoming live action version of the anime/manga classic “Ghost in the Shell”. The film, directed by.